Are you running out of hard drive space? Is your computer filling up with information? When you start running low on hard drive space an effort must be made to clean up some files that you are not using. This can be quite difficult because there are files located in many places on your computer. You need to be careful not to delete something that will crash your operating system. A lot of time though even after you have cleaned up a bunch of photos, videos and documents to make more room, you still find that you really still don't have much hard drive space left. Well pat of the problem could be that there are hidden and temporary files that are creating unnecessary space on your hard drive. This is cause by the use of your computer overtime and the computer has been storing these files and not deleting them. There are several ways to clean this up. 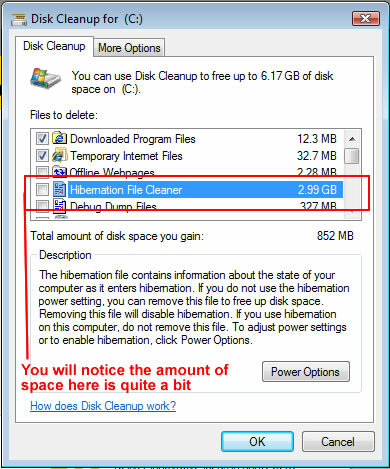 Now you will see in this example, that 2.99 GB of space is being used simply to put the computer in hibernation mode. 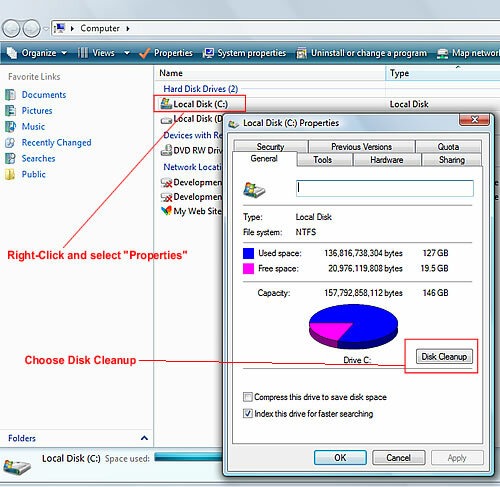 You can go through each part of this list and remove files to free up some hard disk space. 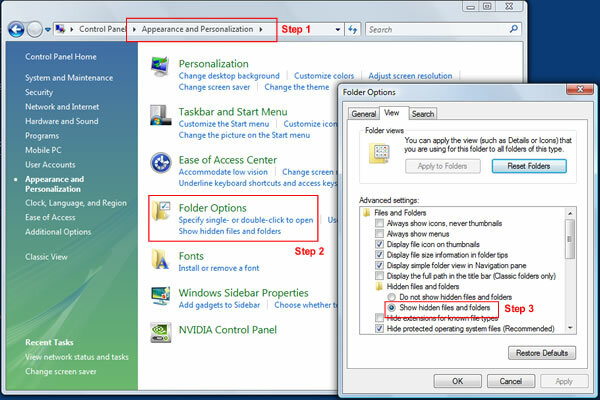 Step 2: Show the hidden files first and then go through and find the temporary files. Now, we are going to need to manually check the hard drive by going to where the user data is located. In the example below, the user "Freddie" is located on the "C:\Users\Freddie" folder. To check the amount of space being used, right-click the folder properties. In this example, you will see that 3GB of space is being used. 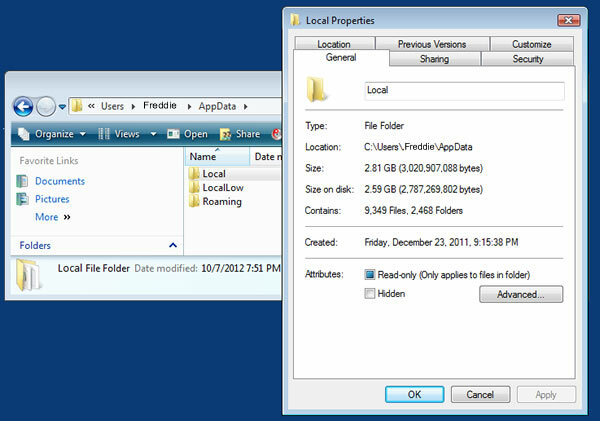 You will probably find a lot of miscellaneous files in this folder: "C:\Users\Freddie\AppData\Local\Temp". You can delete the files in this folder to clean it up a bit. Again, the best and safest way to do this is use step 1. That is the way that Microsoft makes it the easiest way possible. Only venture with Step 2 if you are pretty familiar and know how to navigate your computer pretty well. Deleting the wrong files in step 2 can cause operating system problems. There are other folders that will take up a lot of space as well but you should be ok with the "Temp" folder as described above.